Barcelona loves to indulge in the fantastic. From the urban carnival that is Las Ramblas to buildings with no straight lines, from wild festivals to even wilder nightlife, the city pushes the limits of style and good taste in everything it does and with amazing results. 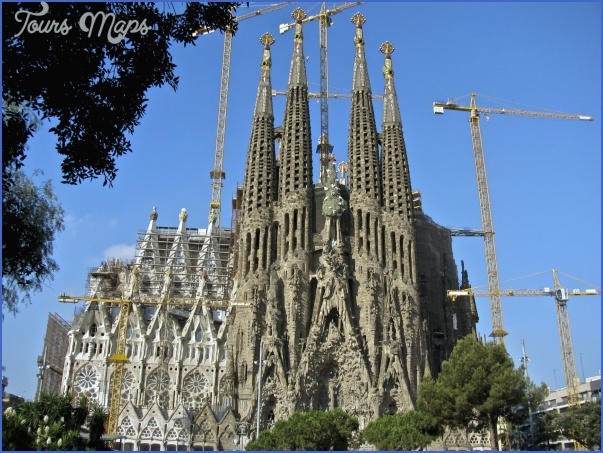 The center of the whimsical and daring Mod-emisme architectural movement, and once home to the most well-known Surrealist painters Salvador Dali, Pablo Picasso, and Joan Miro even Barcelona’s art is grounded in an alternate reality. 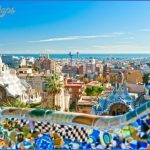 In the quarter-century since Spain was freed from Franco’s oppressive regime, Barcelona has led the autonomous region of Catalufia in the resurgence of a culture so esoteric and unique it is puzzling even to the rest of Spain. The result is a vanguard city where rooftops drip toward the sidewalk, serpentine park benches twist past fairytale houses, and an unfinished cathedral captures imaginations around the world. Flights: El Prat de Llobregat Airport (BCN; a 932 98 38 38), 12km southwest of Barcelona. To get to the central PI. Catalunya, take the Aerobus (40min. ; every 15min. ; to PI. 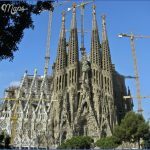 Catalunya M-F 6am-midnight, Sa-Su 6:30am-midnight; to the airport M-F 5:30am-11:15pm, Sa-Su 6am-ll:20pm; ‚3.30) or a RENFE train (40min. ; every 30min. 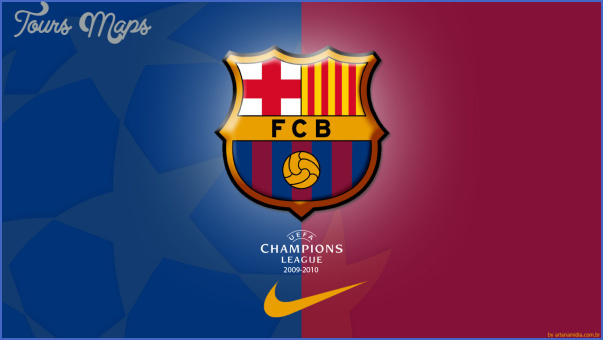 ; from airport 6:10am-ll:15pm, from Estacio Barcelona-Sants 5:30am-ll:20pm; ‚2.20). Trains: Barcelona has 2 main train stations. For general info about trains and train stations, call a 902 24 02 02. Estacio Barcelona-Sants, in PI. Paisos Catalans (M: Sants-Estacio) is the main terminal for domestic and international traffic. Estacio Fran9a, on Av. Marques de I’Argentera. M: Barceloneta. Services regional destinations, including Girona Tarragona and Zaragoza, and some international arrivals. Ferrocarrils de la Generalitat de Cataluiia (FGC; 932 05 15 15; www.fgc.catalunya.net), has commuter trains with main stations at PI. 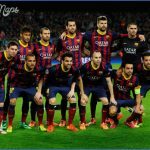 Catalunya and PI. Espanya. RENFE (902 24 02 02; international -5-934 90 11 22; www.renfe.es). RENFE has extensive service in Spain and Europe. Popular connections include: Bilbao (8-9hr. 5 per day, ‚30-32); Madrid (7-8hr. 7 per day, ‚31-42); San Sebastian (8-9hr. 5 per day, ‚31); Seville (ll-12hr. 6 per day, ‚47-51); Valencia (3-5hrž 15 per day, ‚28-32). International destinations include Milan, Italy (via Figueres and Nice), and Montpellier, France with connections to Geneva, Paris, and various stops along the French Riviera. 20% discount on round-trip tickets. 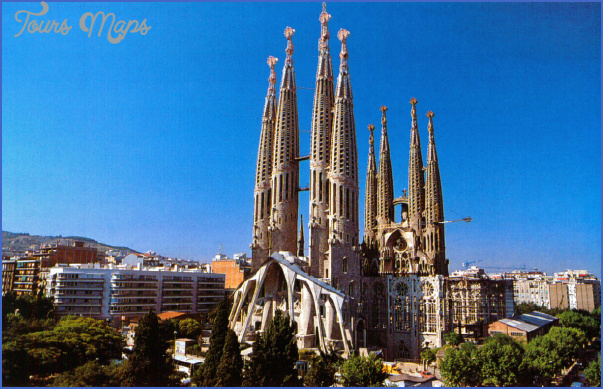 Buses: Most buses arrive at the Barcelona Nord Estacio d’Autobuses, C. Ali-bei 80 ( 932 65 61 32). M: Arc de Triomf. Sarfa ( 902 30 20 25; www.sarfa.com) goes to Cadaques (2Vihr. 11; 15am and 8:25pm, ‚16) and Tossa del Mar (l’zhr. 10 per day, ‚8). Linebus ( 932 65 07 00) travels to Paris (13hr. ; M-Sa 8pm; ‚80, under-26 reduced prices), southern France, and Morocco. Alsa Enatcar (902 42 22 42; www.alsa.es) goes to: Alicante (9hr. 3 per day, ‚33); Madrid (8hrž 13 per day, ‚22); Naples (24hr. 5:15pm, ‚113); Valencia (4hr. 16 per day, ‚21); Zaragoza (3V&-4’2hr. 20 per day, ‚18). Ferries: Trasmediterranea (902 45 46 45), in Estacio Maritima-Moll Barcelona, Moll de Sant Bertran. In the summer months only to: Ibiza (10-1 lhr. daily M-Sa, ‚46); Mahon (lOVihr. daily starting mid-June, ‚46); Palma (SVihr. daily, ‚65). 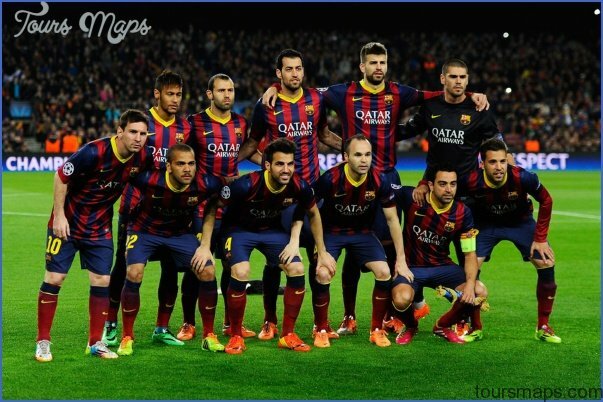 Barcelona’s layout is simple. Imagine yourself perched on Columbus’s head at the Monument a Colom (on Passeig de Colom, along the shore), viewing the city with the sea at your back. From the harbor, the city slopes upward to the mountains. From the Monument a Colom, Las Ramblas, the main thoroughfare, runs from the harbor up to Pla?a de Catalunya (M: Catalunya), the city’s center. 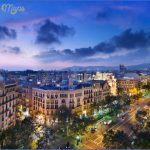 The Ciutat Vella (Old City) is the heavily touristed historical neighborhood, which centers around Las Ramblas and includes the Barri Gotic, La Ribera, and El Raval. The Barri Gotic is east of Las Ramblas (to the right, with your back to the sea), enclosed on the other side by Via Laietana. East of V. Laietana lies the maze-like neighborhood of La Ribera, which borders Parc de la Ciutadella and the Estacio Franga (train station). To the west of Las Ramblas (to the left, with your back to the sea) is El Raval. Beyond La Ribera farther east, outside the Ciutat Vella is Poble Nou and Port Olimpic, with its twin towers (the tallest buildings in Barcelona) and an assortment of discos and restaurants. Beyond El Raval (to the west) rises Montjui’c, crammed with gardens, museums, the 1992 Olympic grounds, and a stunning castle. 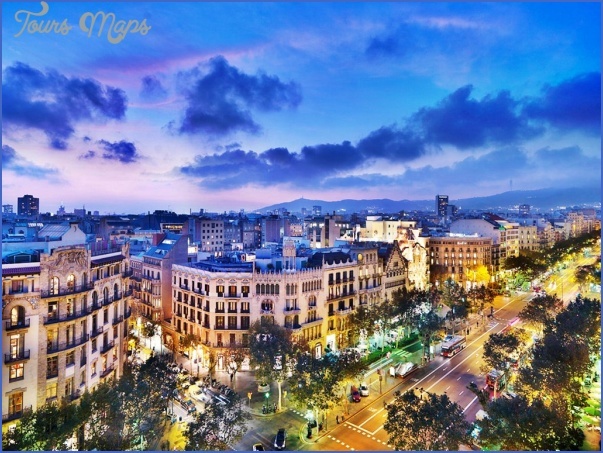 Directly behind your perch on the Monument a Colom is the Port Veil (Old Port) development, where a wavy bridge leads across to the ultra-modern shopping and entertainment complexes Moll d’Espanya and Maremagnum. Beyond the Ciutat Vella is I’Eixample, the gridded neighborhood created during the expansion of the 1860s, which runs from PI. Catalunya toward the mountains. Gran Via de les Corts Cata-lanes defines its lower edge, and the Passeig de Gracia, l’Eixample’s main street, bisects the neighborhood. Avinguda Diagonal marks the border between l’Eixample and the Zona Alta (Uptown), which includes Pedralbes, Gracia, and other older neighborhoods in the foothills. The peak of Tibidabo, the northwest border of the city, offers the most comprehensive view of Barcelona. Public Transportation: -a-010. Pick up a Guia d’Autobusos Urbans de Barcelona for Metro and bus routes. Buses run 5am-10pm and cost ‚1 per ride. The Metro (934 86 07 52; www.tmb.net) runs M-Th 5am-midnight, F-Sa 5am-2am, Su and holidays 6am-midnight. Buy tickets at vending machines and ticket windows. Tickets cost ‚1.10 per sencillo (ride). A T1 Pass (‚5.80) is valid for 10 rides on the bus or Metro; a T-DIA Card entitles you to unlimited bus and Metro travel for 1 (‚4.40) or 3 days (‚11.30). 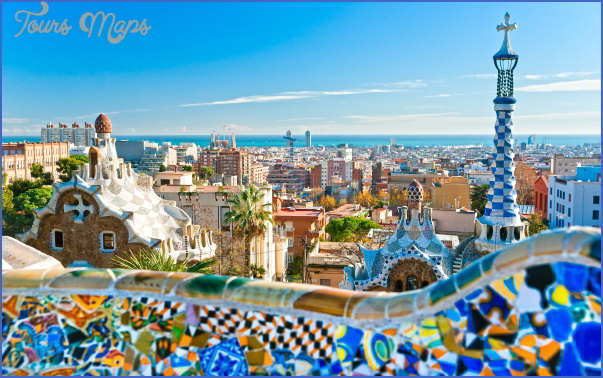 Tourist Offices: (010, 906 30 12 82, or 933 04 34 21; www.barcelonaturisme.com.) 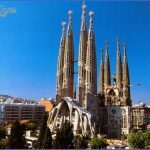 Barcelona has 4 main tourist offices and numerous mobile information stalls. Informacio Turistica at Pla?a Catalunya, PI. 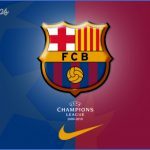 Catalunya 17S. M: Catalunya. The biggest, best, and busiest tourist office. Open daily 9am-9pm. Informacio Turista at Pla$a Sant Jaume, PI. Sant Jaume 1, off C. Ciutat. M: Jaume I. Open M-Sa 10am-8pm, Su 10am-2pm. Oflcina de Turisme de Catalunya, Pg. Gracia 107 (932 38 40 00; www.gencat.esprobert). M: Diagonal. Open M-Sa 10am-7pm, Su 10am-2pm. Estacio Central de Barcelona-Sants, PI. Paisos Catalans, in the Barcelona-Sants train station. M: Sants-Estacio. Open M-F 4:30am-midnight, Sa-Su 5anwnidnight. Aeroport El Prat de Llobregat, in the international terminal. Open daily 9am-9pm. Budget Travel Offices: Usit, Ronda Universitat 16 (934 12 01 04; www.unlimited.es). Open M-F 10am-8:30pm, Sa 10am-l:30pm. Consulates: Australia, Gran Via Carlos III 98, 9th fl. (933 30 94 96); Canada, Elisenda de Pinos 8 (932 04 27 00); New Zealand, Traversa de Gracia 64, 4th fl. (932 09 03 99); South Africa, Teodora Lamadrid 7-11 (934 18 64 45); UK, Av. Diagonal 477 (933 66 62 00; www.ukinspain.com); US, Pg. 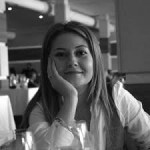 Reina Elisenda 23 (932 80 22 27). Currency Exchange: ATMs give the best rates; the next best rates are available at banks. General banking hours are M-F 8:30am-2pm. American Express, Pg. Gracia 101 (933 01 11 66). M: Diagonal. Open M-F 9:30am-6pm, Sa lOam-noon. Also at Las Ramblas 74. Open daily 9am-8pm. Luggage Storage: Estacio Barceiona-Sants. M: Sants-Estacio. Large lockers ‚4.50. Open daily 5:30am-llpm. Estacio Fran9a. M: Barceloneta. Open daily 7am-10pm. Department Store: El Corte Ingles, PI. Catalunya 14 ( 933 06 38 00). M: Catalunya. Behemoth department store. Free map of Barcelona at the info desk. Has English books, salon, cafeteria, supermarket, and the oportunidades discount department. Open M-Sa and first Su of every month lOam-lOpm. Branches: Av. Portal de I’Angel 19-2 (M: Catalunya); Av. Diagonal 471-473 (M: Hospital Clinic); Av. Diagonal 617 (M: Maria Cristina). San Pablo, C. San Pau 105 (933 29 42 49). M: ParaHel. Wash, dry, and fold ‚10; do-it-yourself ‚7.30. Open July-Sept. M-F 9am-2pm; Oct.-June M-F 9am-2pm and 4-8pm. Emergency: 112. Local police: 092. National police: 091. Medical: 061. Police: Las Ramblas 43 ( 933 44 13 00), across from PI. Reial and next to C. Nou de La Rambla. M: Liceu. Multilingual officers. Open 24hr. 24hr. Pharmacy: Rotates; check any pharmacy window for the nearest on duty. Hospital: Hospital Clinic, Villarroel 170 (932 27 54 00). M: Hospital Clinic. Main entrance at the intersection of C. Rosello and C. Casanova. EasyEverything, Las Ramblas 31. M: Liceu. About ‚1.20 per 40min. Open 24hr. Branch at Ronda Universitat 35, right next to PI. Catalunya. Bcnet (Internet Gallery Cafe), Barra de Ferro 3. Right down the street from the Picasso museum. M: Jaume I. ‚3 per hr. lOhr. ticket ‚20. Open daily lOam-lam. Cybermundo Internet Centre, Bergara 3 and Balmes 8. M: Catalunya. Just off PI. Catalunya, behind the Triangle shopping mall. Allows uploading of disks. ‚1 per hr. Open daily 9am-lam. Workcenter, Av. Diagonal 441. M: Hospital Clinic or Diagonal. Another branch is at C. Roger de Lluria 2. M: Urquinaona. ‚0.52 per lOmin. Open 24hr. CiberOpcion, Gran Via 602. M: Universitat. ‚0,60 per30min. Open M-F9am-lam, Sa-Su llam-lam. Post Office: PI. de Antoni Lopez (general info 902 19 71 97). M: Jaume I or Barceloneta. Fax and lista de correos. Open M-F 8:30am-9:30pm. A little shop in the back of the post office building, across the street, wraps packages for mailing (about ‚2). Shop open M-Sa 9am-2pm and 5-8pm. Postal Code: 08003.